The collection of outstation cheques, till now, required movement of cheques from the Presentation centre (city where the cheque is presented) to Drawee centre (city where the cheque is payable) which increases the realisation time for cheques. Speed Clearing aims to reduce the time taken for realisation of outstation cheques. What was the process followed by banks for collection of outstation cheques before the introduction of Speed Clearing ? A person who has an outstation cheque with him deposits it with his bank branch. This bank branch is called the Presenting branch. The cheque is sent for collection to the city where it is payable / drawn called Destination centre or Drawee centre. The branch providing the collection service at the Destination centre is called the Collecting branch. On receipt of the cheque, the Collecting branch presents it in local clearing to the Drawee branch or the Destination branch. Once the cheque is paid the Collecting branch remits the proceeds to the Presenting branch. On receipt of realisation advice of the cheque from the Collecting branch, the customer’s account is credited. This, in short, is the process of Collection. 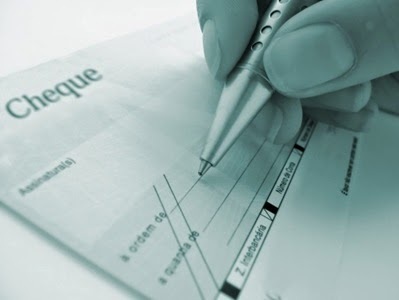 When a cheque is accepted on a collection basis by a bank, it credits the customer’s account only after realisation of its proceeds. Alternatively, in the absence of a collection arrangement at the Destination centre, the Presenting branch will send the cheque directly to the Destination branch for payment. On receiving the proceeds from Destination branch, Presenting branch credits the customer’s account. How long does it take for getting credit of an outstation cheque sent on Collection basis? How does the Local Cheque Clearing work? In Local Cheque Clearing in 66 major centres, cheques are processed at the Clearing Houses on mechanised sorters, using Magnetic Ink Character Recognition (MICR) technology. Local Clearing handles only those cheques that are drawn on branches within the jurisdiction of the local Clearing House. Generally, the distance between the Clearing House and the participating branches is defined, taking into account the local transportation and communication facilities as the cheques have to physically move to and from the Clearing House. For example, for a cheque to be processed in Local Clearing in Mumbai, both the presenting and drawee branches should be situated within the jurisdiction of the Clearing House in Mumbai. How does the Speed Clearing work? Banks have networked their branches by implementing Core Banking Solutions (CBS). In CBS environment, cheques can be paid at any location obviating the need for their physical movement to the Drawee branch. The concept of Speed Clearing combines the advantages of MICR clearing with that of CBS. When will the beneficiary get funds under Speed Clearing? Which are the centres where Speed Clearing is presently available? What are the charges for cheques cleared through Speed Clearing? Presenting branches are currently permitted to levy charges at a rate not exceeding Rs.150 per cheque (inclusive of all charges other than Service Tax) for cheques of above Rs. 1 lakh presented through Speed Clearing. No charges are payable for cheques of value up to Rs. 1 lakh. With effect from April 1, 2011, no charges will be payable for cheques of value up to and including Rs. 1 lakh from Savings a/c customers. Banks would be free to fix charges for collection of other types of accounts for all values and also from Savings a/c customers for cheque of value above Rs. 1 lakh. Charges fixed should be reasonable and computed on a cost-plus-basis and not as an arbitrary percentage of the value of the instrument. How is Speed Clearing an improvement over collection basis? Outstation cheque collection through collection basis takes around one to three weeks time depending on the drawee centre. Under Speed Clearing, it would be realised on T+1 or 2 basis viz. within 48 hours. Further customers need not incur any service charge for collection of outstation cheques (value up to Rs. 1 lakh) in Speed Clearing which they may have to incur if such cheque is collected under collection basis. How will a customer know whether a cheque can be cleared in Speed Clearing? For facilitating customers to know CBS status of a branch, some of the banks stamp / print 'CBS' on the cheque leaves. Account numbers (if length of account number is more than 10 digits) printed on the cheque leaves may give a broad indication regarding CBS status of the branch. Further customers may refer to the list of Speed Clearing-enabled bank branches hosted on the website of the Reserve Bank of India under the link http://www.rbi.org.in/Scripts/bs_viewcontent.aspx?Id=2016. What type of cheques can be presented in Speed Clearing? Instruments of all transaction codes (except Government cheques) which are drawn on CBS-enabled bank branches are eligible for being presented in Speed Clearing.